While today you’re more likely to see a Rolex Submariner on the wrist of a Wall Street banker than a professional scuba diver, the Submariner was indeed born as a tool watch for those who explore the underwater world. From its birth in 1953 until today, Rolex has continuously improved the Submariner watch to enhance both its design and technical abilities. A particularly important milestone in the Sub’s history was the debut of the Submariner ref. 5512 in 1959. Let’s dive in and find out how the features of Submariner ref. 5512 forever changed the course of the famous Rolex diving watch. The Submariner 5512 Features a very accurate timekeeping device. Design-wise, the biggest change the ref. 5512 brought to the longstanding Submariner table was the introduction of the crown guards. Prior to the ref. 5512, Submariner watches did not have the protective shoulders around the winding crown, which meant it could break off if the watch was knocked around. 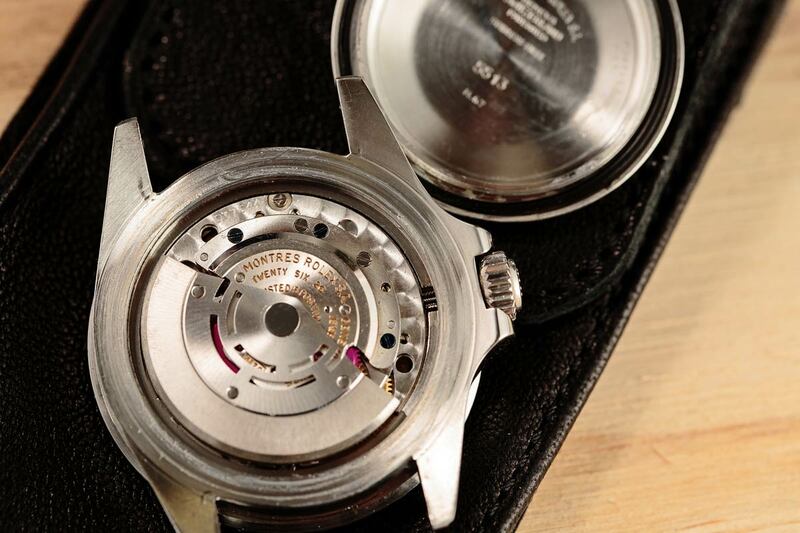 So in a bid to build a more robust watch, Rolex added steel crown guards around the screw-down winding crown. It’s important to note that depending on the manufacturing period, the Submariner ref. 5512 is available with three distinct styles of crown guards. The earliest models produced in 1959 came equipped with square crown guards. However, these proved to be difficult for divers to navigate around with gloves on, so Rolex replaced them with pointed crown guards approximately a year later. These crown guards then evolved to the familiar rounder form in the mid-1960s. 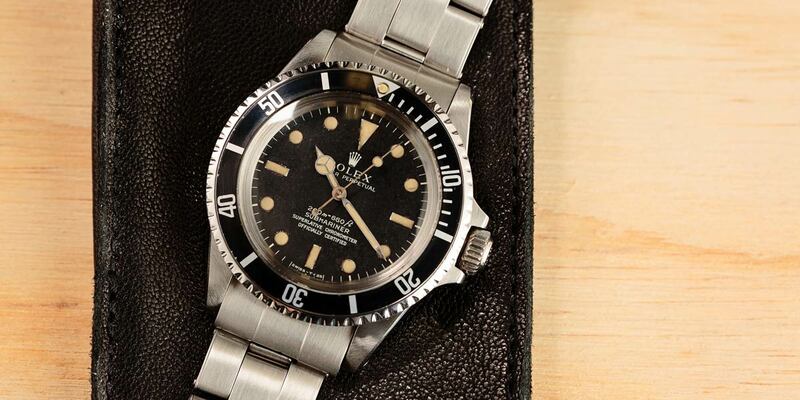 As expected, the square crown guard and pointed crown guard versions of the Submariner 5512 are more valuable in the vintage market. The ref. 5512 also came with a slightly larger 40mm Oyster case, 2mm larger than its 38mm predecessor. The 40mm size remains as the standard Submariner size today. With upgraded timekeeping capabilities the Submariner 5512 Features 4 lines of text. Early Submariner 5512 watches were outfitted with the non-chronometer rated Caliber 1530, therefore the dials did not include the “Superlative Chronometer Officially Certified” label. Colloquially, these models are aptly referred to as two-liner Submariner 5512 models. When Rolex replaced the Caliber 1530 with the chronometer-rated Caliber 1560 (and eventually the Caliber 1570), the company naturally included the SCOC text on the dial. Thus, these models are nicknamed the four-liner Submariner 5512. While the Submariner ref. 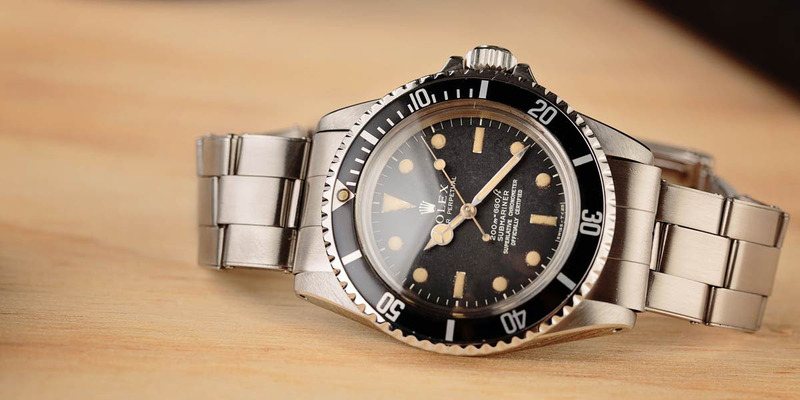 5512 became a chronometer, Rolex still offered a non-chronometer rated Submariner with the ref. 5513. Since the 5513 was more popular during its era (probably due to its lower price point), Rolex produced more of them compared to the 5512. Furthermore, the Submariner 5513 enjoyed a much longer production run. As a result, in today’s vintage Rolex market, it’s more difficult to find a 5512 compared to a 5513. Other dial changes that took place during the Submariner 5512’s history was the transition from glossy black dials to matte black dials, in addition to the gilt text being replaced by white printing. Moreover, the way the depth rating was presented on the dial also transformed from displaying meters first (200 m = 660 ft) to showing feet first (660 ft = 200 m). What are your thoughts on the Submariner 5512 Features? The Submariner 5512 was eventually discontinued around 1978. If you were to compare a 1970’s Submariner ref. 5512 with an early 1960’s Submariner ref. 5512, they are significantly different watches despite their identical reference numbers. But that’s the beauty of vintage Rolex collection—discovering all the small details that make all the difference in the world. What’s your favorite version of the Submariner 5512? Leave us your thoughts in the comment section.